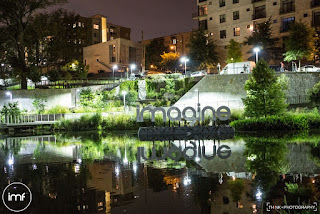 The Triangle Beat: Imagine Fest 2015 Live Review - How Do You Imagine? 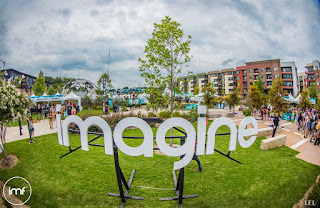 Imagine Fest 2015 Live Review - How Do You Imagine? 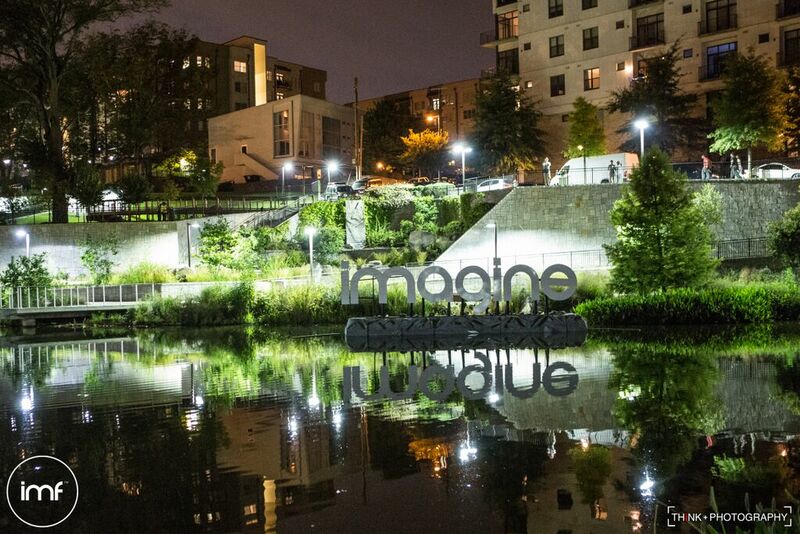 The Imagine Festival certainly lived up to its name and fed the imagination far beyond expectation. 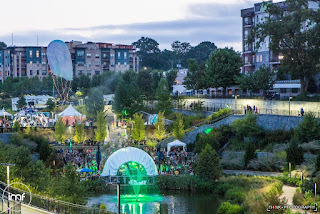 In the center of Atlanta at the Historic Fourth Ward Park, Iris Presents provided an event that thrust its attendees into a dream world, filled with mermaids, circus characters, and pure magic. As an Imaginer, it wasn't hard to forget where the event was taking place. It all starts on the streets of downtown Atlanta, but once the barrier is crossed, the imagination takes over and the journey begins. Upon entering, there are several vendors selling a variety of materials; clothes, jewelry, festival accessories, the list continues. The field opens up and the grand main stage, Oceania, appears in all of its magnificence. The stage is amply outfitted with crisp audio and extensive lighting. Off to the left is the Amazonia stage. The lighting here isn't quite as spectacular, but it's still impressive. The audio at the Amazonia stage is off the charts, creating music that truly pulsed through the Imaginers' bodies with every thunderous beat. Meandering beyond the main stage, along the water and up the hill, attendees would find the Imaginarium. Along the way, guests were sure to encounter a marching band, playing all of the latest hits, drum line style. This stage was located in a quiet corner, away from the crowded chaos, situated with a back drop of glistening water. 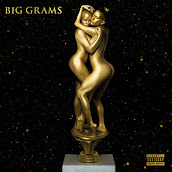 This is where new up-and-coming acts could have their time to shine. The Imaginarium was always a site of true happiness, housing smiling festival goers who were enjoying yoga, hooping, and of course, smoothies. Obviously, the festival's atmosphere was on point. 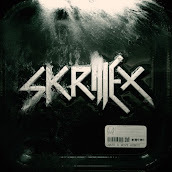 Let's move on to the most significant part: the phenomenal music. Two full days of non-stop music leaves a lot of time for unforgettable acts, and IMF did not disappoint. Saturday was non-stop hype from beginning to end, with memorable acts such as Brillz, Morgan Page, Buku, and Shpongle taking over the two main stages. The first major stand-out of the day was undoubtedly GRiZ. 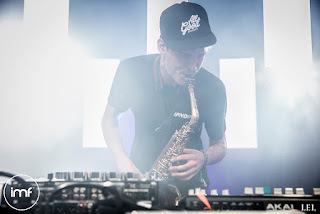 All of the acts were amazing crowd-motivators, but GRiZ has a special way of taking the audience to a whole different level. GRiZ is a true pioneer in musical expression through his ability to mesh funky rhythms with jazzy melodies supported by the saxophone. Ending the night inside of the festival for The Triangle Beat was Tipper. 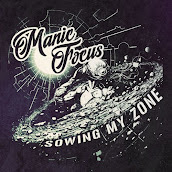 The visuals alone were enough to place the Imaginers in a trance-like state, supported with perfectly matched beats. Tipper is musically talented and simply unique, providing an unparalleled show unlike any other. One of the best parts of the Imagine Fest is that it doesn't stop with the end of the festival schedule. Several after-party options are provided well into the night and morning. We chose to attend the GRiZ set at the Masquerade club, located right next to the park. Once again, GRiZ created a mesmerizing set complete with hypnotic beats and enticing lights. The final day arrived with an ample amount of excitement. The fest was slightly less attended that day, but the atmosphere was still strong with energy, costumes, and amazing artists. Many acts took the stage on the final day, like the Ying Yang Twins, 12th Planet, Datsik, and Papadosio. One artist that did not make the show was Lil' Jon. Due to this schedule change, Crystal Method, Chromeo, and Dada Life extended their sets, which was not a disappointing turn of events. All three of these final performances were almost too incredible to handle. 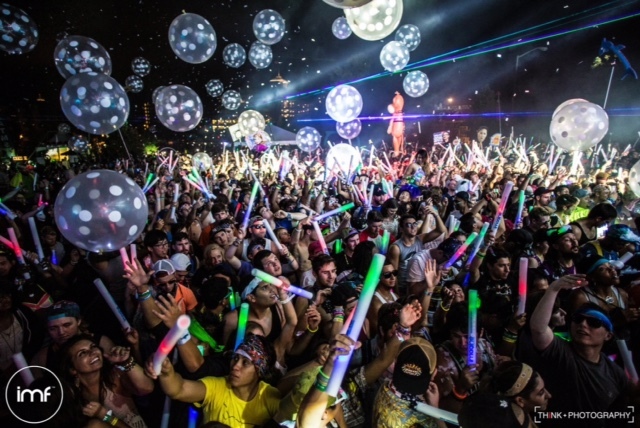 Dada Life brought the festival to an unforgettable end by passing out glowing foam sticks, over-sized balloons, pillows for a pillow fight, and of course, large inflatable bananas. 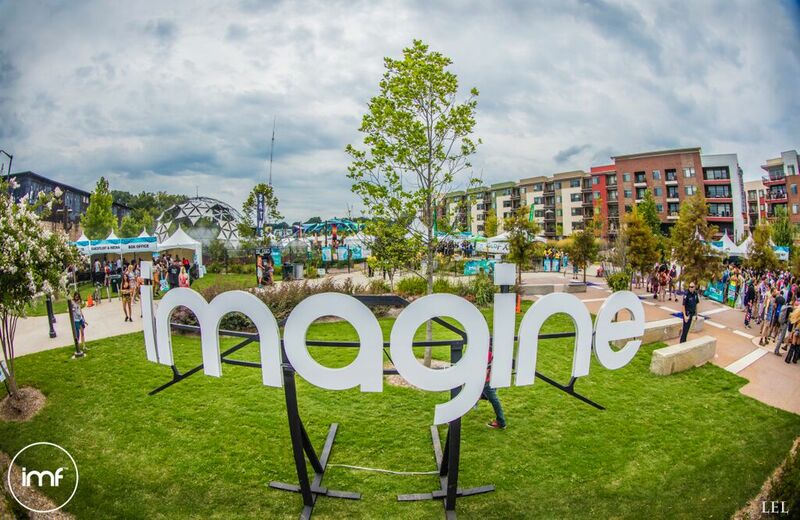 On a personal note, the Imagine Festival was truly an extraordinary event. While the music was the main draw and definitely pulled the festival together, Imagine created an overall adventure that isn't easy to express through words. I've never been more excited to return to a festival and experience the wonderment that is bound to occur. 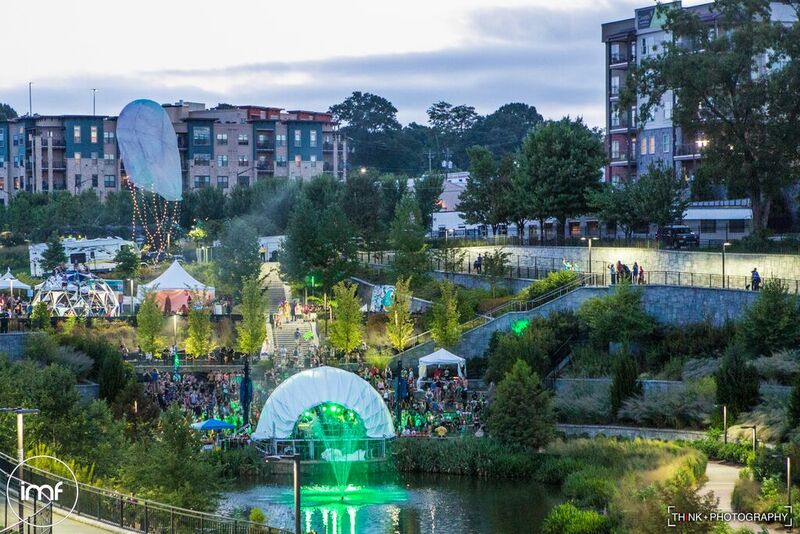 When booking festival trips for the 2016 season, make sure Imagine Festival is at the top of the list and don't forget to pack your imagination.